Bohol is a tropical island paradise in the Southern part of Philippines. From Manila, you can reach Bohol in just an hour by plane. It wasn’t a well-planned vacation on our part, but since we never got to swim with the whale sharks in Bicol (thanks to the typhoon! 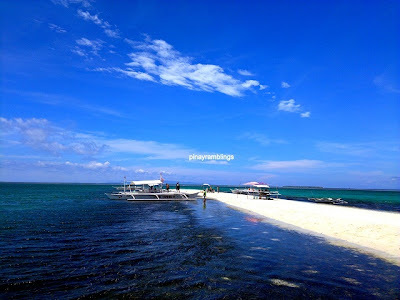 ), we were itching to go diving somewhere and I thought of Bohol. After a few hours of searching for resorts in Agoda.com, we stumbled into this charming resort called Dive Thru. 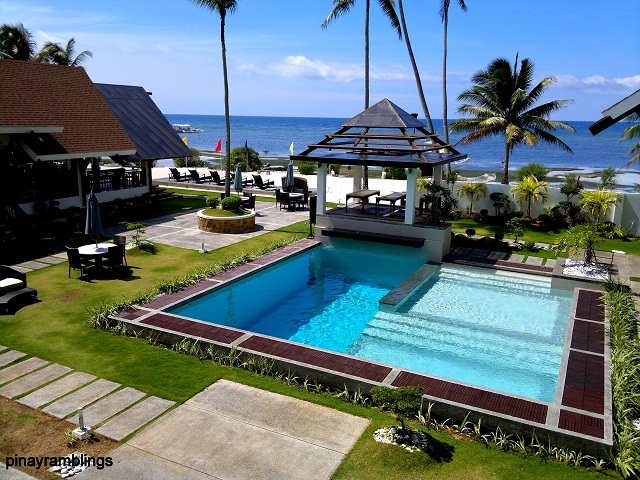 It is located in Panglao Island, Bohol. Their loft room is big and only 4,300php/night with free breakfast, we thought it was a steal so we booked it for four nights. It is a refuge for beach bums like us—a private paradise with rustic appeal and a front yard with azure waters teeming with marine life. You will never run out of things to do in Bohol; from snorkelling to island hopping, to scuba diving, to visiting chocolate hills, seeing the endangered Tarsiers etc.—you will wish you have stayed longer. First thing I opted to do is island hopping! 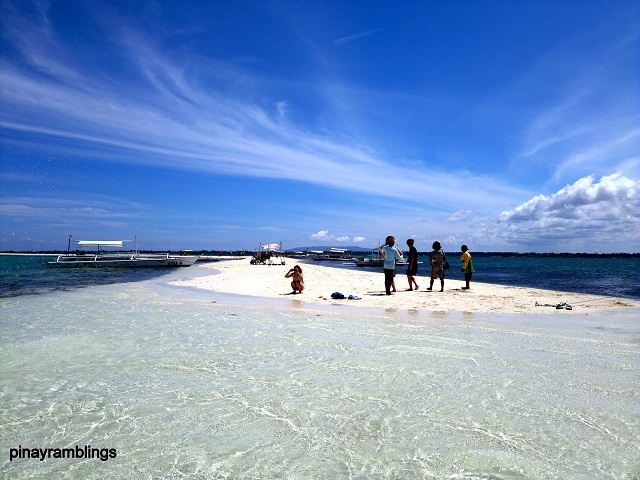 For 3,000 pesos (US $73), you can hire a boat for yourself all day to take you to nearby islets for snorkeling/diving. Prepare 500 pesos (US $12) for entrance fee to Balicasag island's Marine Sanctuary where a guide will accompany you when you go free diving/snorkeling. Balicasag Island is really awesome! It's as if the Gods are still in charge here--otherworldly fantasy where it's just you and nature and the wind is your air-conditioning. It is one of the most pristine dive sites in the world and is waiting to be explored. The underwater camera we purchased didn't work so I was forced to buy a plastic case for my phone and I used it to take underwater pics. Too bad I couldn't take it with me deeper. 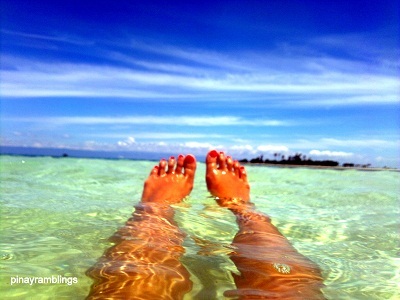 Balicasag Marine Sanctuary has one of the most diverse marine ecosystems in the world! I took a quick video so you will have an idea what I am talking about (but too bad coz the video didn't do it any justice). Next stop is Virgin Island...it is about 15 mins away from Balicasag Island. Its pristine white sands, clear blue waters, and a relaxing island vibe sounds more like a cliche for beach bums who have had their fair share of awesome beaches, but this tiny island (more like a sandbar), took my breath away. Oh Panglao, we shall return!! !